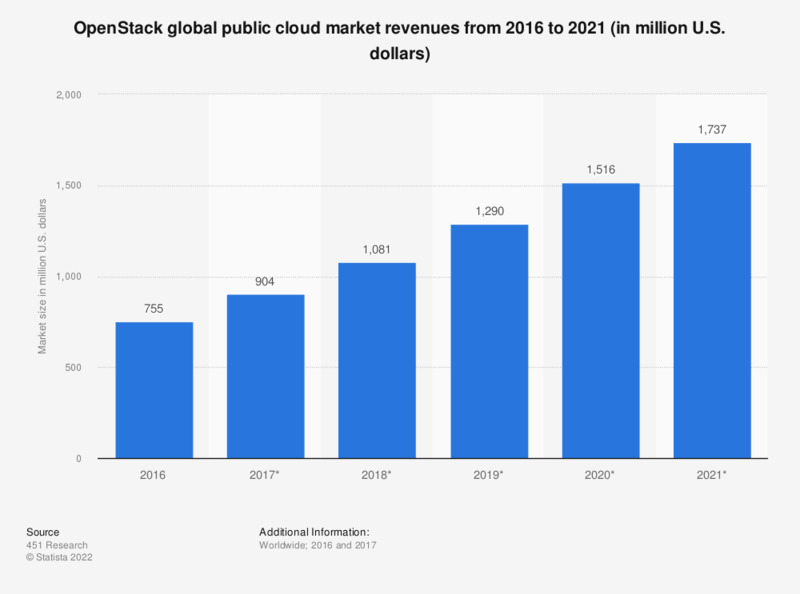 The statistic shows the size of the OpenStack public cloud market from 2016 to 2021. In 2018, the OpenStack IaaS market was expected to be worth around 1.1 billion U.S. dollars. OpenStack is a cloud operating system, providing access to various computing resources, such as compute, storage, and network, across a data center. It is used primarily as Infrastructure as a Service.